Marine PFC Jason Estopinal, who was killed by an IED last Monday, is laid to rest. Thank you Jason, for your service and your sacrifice. Oh dear Lord. Bless him and his family. In gratitude for his honorable service and sacrifice. stand at ease whe you reach heaven you have served your time in hell.God bless his family. Looking forward to the day Trav, when wars will cease to exsist forever. What a day that will be. God bless him and his dear family and friends. This makes me so sad...and to be honest, angry as well. I do hate war with a passion. I also wish to say thank you to Jason for his service and devotion to our country. He gave the last full measure and may he rest in eternal peace. I'm ashamed to admit I didn't want to watch the video. I knew it would break my heart. I felt if he could serve and pay the ultimate price, I could watch a video in his honor. I lost it when his mother took the flag. Prayers for Jason Estopinal's family. 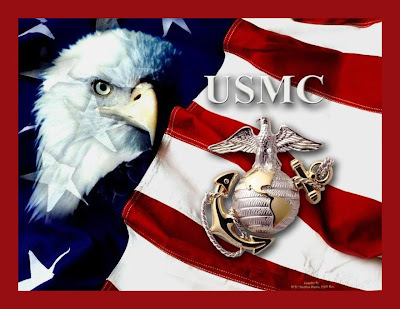 Gratitude to Marine PFC Estopinal for his service. Thank you to you, Travis, for posting this moving tribute and thank you especially to this young man for his service as well. Prayers for his family. My thoughts are also in line with Debra's -wishing we could all live in peace, no more wars. Thanks for posting it, Trav. His parents are very glad of all the support and well wishes they have received. It's been amazing at the support the community has shared. And Jennifer, don't feel bad, I was standing not far behind Claire when she received that flag and by that time I was already in tears. I admit I also find it difficult to watch videos such as this. My heart breaks for every mother, every father, every wife, every husband and every child who loses a loved one serving our country in any capacity. The cost of war can not be measured in dollars but tears. yeah. wow. makes me need a deep breath...I guess I was holding my breath watching the video. My heart felt prayers for this family whose boy gave "the last full measure of devotion"
Nothing I say can aleve the pain, but may they find comfort in memories of a wonderful son and man. Thank you Jason just doesnt seem enough. Rest in Peace.